A youth member who assists during worship service. 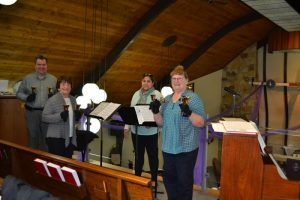 The Gloria Dei Lutheran Church council consists of nine members, elected by the congregation, generally for a one year term. The Executive Committee includes the Pastor, President, Vice President, Secretary and Treasurer. The council meets monthly to discuss the business of the church.